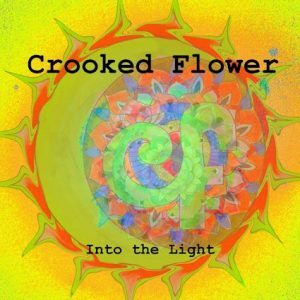 California psych rockers Crooked Flower put out their sixth release, Into the Light, on October 15th. Celebrating the party life with an anti-Prohibition undercurrent, “California” is not just a location for this album but also an adjective. Crooked Flower makes use of many influences, from the sorta-groovy to the truly psychedelic. The ska-inspired guitar line on “Around and Around” recalls Sublime and No Doubt; the next track, “10 Million Seeds” continues the Sublime vibe from the very first drum fill. What kinda seeds do ya think they’re talking about?? 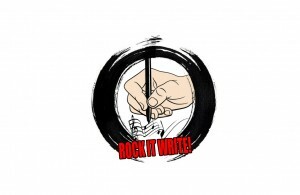 Wink wink nudge nudge…. Closer “Own World” takes a jazzy approach in the rhythm section, becoming reminiscent of a Dead song in the chorus. Angie Dang’s dreamy R&B vocals stand out throughout the album, as does the guitar work of Dang and lead guitarist Dan Ingberman. The rhythm section isn’t slouching though — bassist Daniel Erik and drummer/percussionist Patrick Shields give the lead sounds a varied palette to work over.